OLED flat-screen technology is already finding its way into our private spaces:homeowners will soon be able to cover whole living-room walls with screenslike wallpaper. While TV companies ponder what content is best displayed on such vast indoor vistas, the TUB team has been working out what can be achieved with vast outdoor displays. 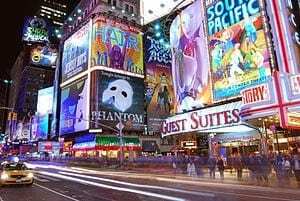 StrikeAPose, developed by Walter’s team, lets a person in the street perform a unique gesture to take control of anything from a bus-shelter advert screen to a large, Times-Square-style video wall. Once you are registered as the screen controller, software fed by the depth cameras used in Microsoft’s Kinect system lets you control, say, a gesture-driven game. In trials in a university cafeteria, the team settled on a registration gesture they call The Teapot: users put their hands on both hips, their arms describing the profile of two teapot handles. This was the most robust gesture, even when obfuscated by thick clothing.